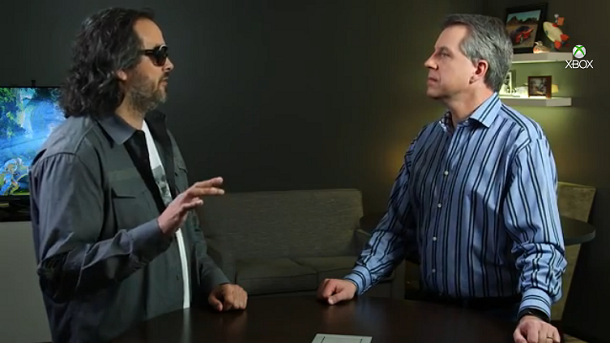 You are here: Home / HoloLens / HoloLens: Where Is My Keyboard? 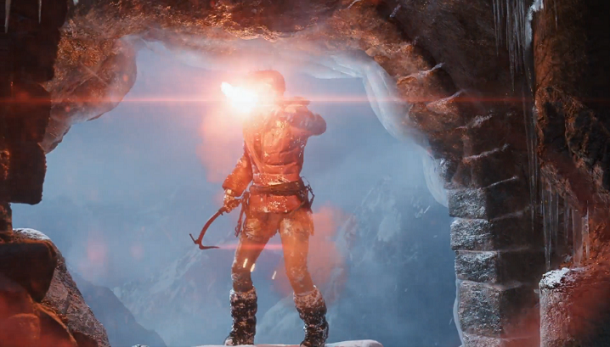 Many people had expressed concerns over text input on HoloLen. 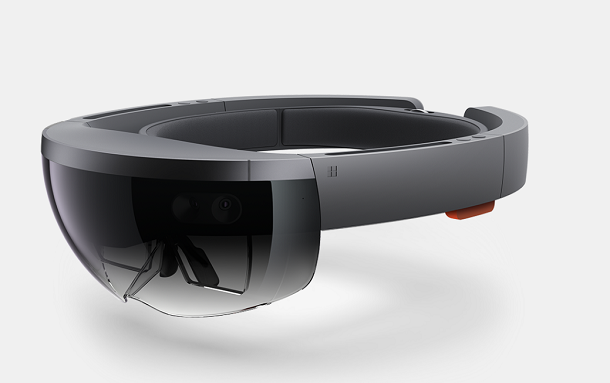 Microsoft has said (also please read the Wired article) the user interface for HoloLens are: gestures, voice and gaze. None of those do anything for text input. If all you do is playing games, browsing the web, I would assume the Windows on screen keyboard is still there. However if you want to do anything serious, like what you do in the office, that keyboard wouldn’t work. 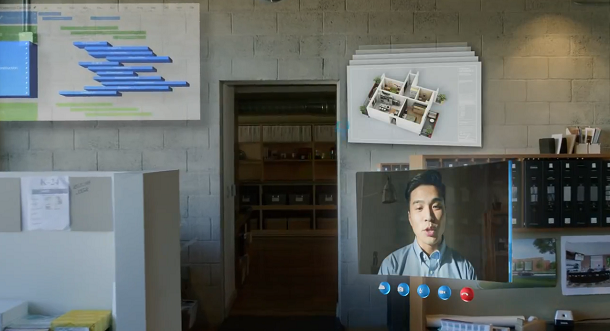 In the HoloLens promo video (below), office workers who are wearing HoloLens also have a real computer, with a keyboard. 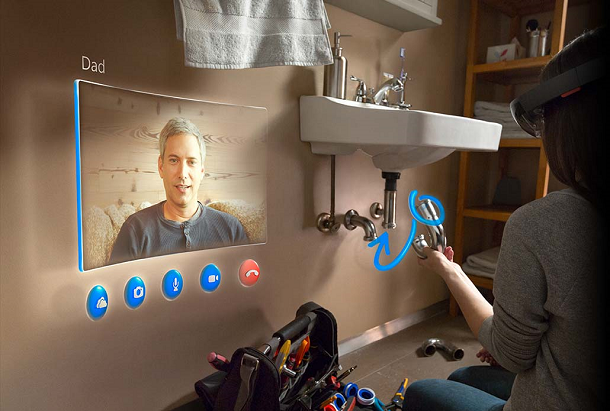 There are many cases where you just want to use HoloLens not only as a display, but also a full PC. 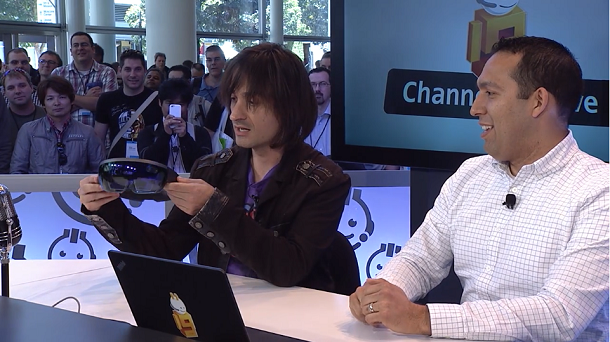 HoloLens is a full Windows 10 PC after all. We want to have fun with it, we also want to be productive with it. A full featured physical keyboard is definitely a necessity. 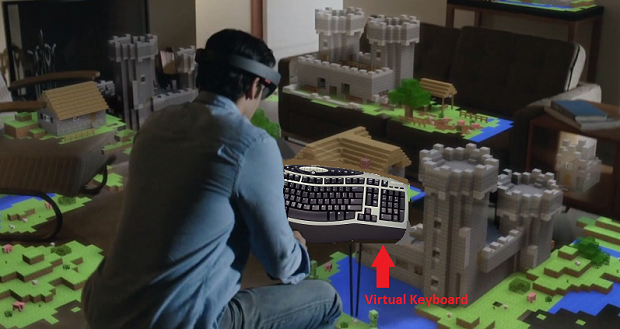 There two ways this problem can be solved: One is to have a wireless keyboard, either WiFi or Bluetooth, paired with HoloLens. 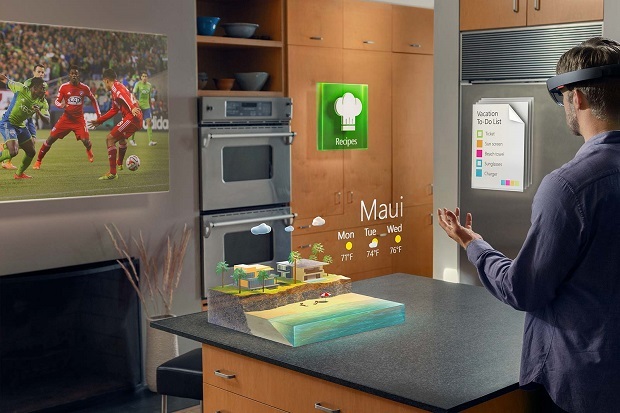 There really no need to do anything speciall, as HoloLens is a PC. One problem with that solution is you have to have a table to put the keyboard on. That is the case most of times. Still, there are times you may not have a table, like in the kitchen, you want to send someone an email. Luckily, there is a better solution: a virtual keyboard. A virtual keyboard floats in the air. It shows up when you need it, hides itself when you don’t. It looks exactly like a real keyboard, and it gives sound feedback. Only when you type, it feels typing in the air. I think it would work much better than the on-screen keyboard. Also, there can be a virtual pen that you can hold in hand, looking like the Surface Pen. If you want a virtual mouse, that can be done the same way. 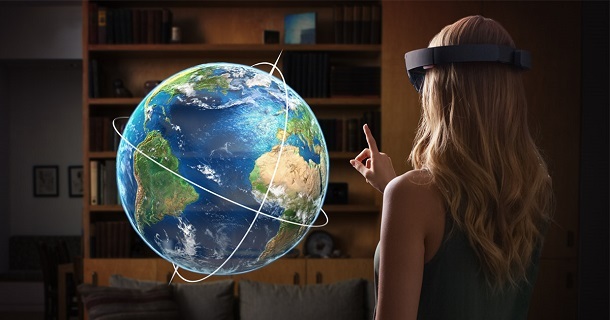 I am not sure if things like virtual keyboard, virtual mouse or virtual pen will be implemented with HoloLens, if they won’t, that’s an opportunity for developers. There are plenty use cases. 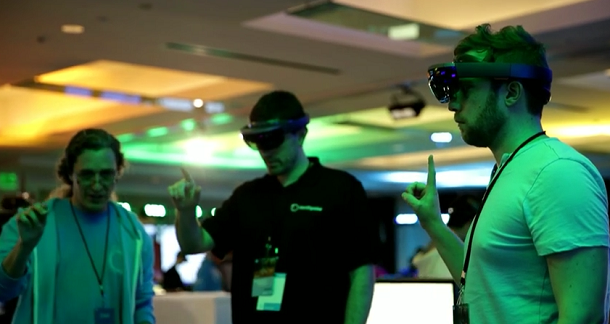 Microsoft is currently hiring Bluetooth technicians for work on hololens… that about answers the question. They would be stupid not to integrate everything.